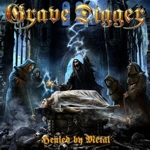 here we go with Grave Digger´s new video, HEALED BY METAL! It's a straight epic smasher with one of the best choruses we've ever written. The video fits the song perfectly: Darkness, Girls and the evil Reaper create an outstanding atmosphere in the video. This video is a tribute to the glorious 80s Metal videos. Long live the Reaper... and we all will be HEALED BY METAL ... now!!" Classic cuts like ‘Headbanging man‘ and ‘Heavy metal breakdown‘ quickly established Grave Digger as one of Germany`s pioneering metal acts in the early 80s – fast forward 36 years since the band`s formation, and their attitude hasn`t changed! The title track (and opener) of Healed By Metal is a stomping anthem, stoic and proud yet still catchy and beastly. 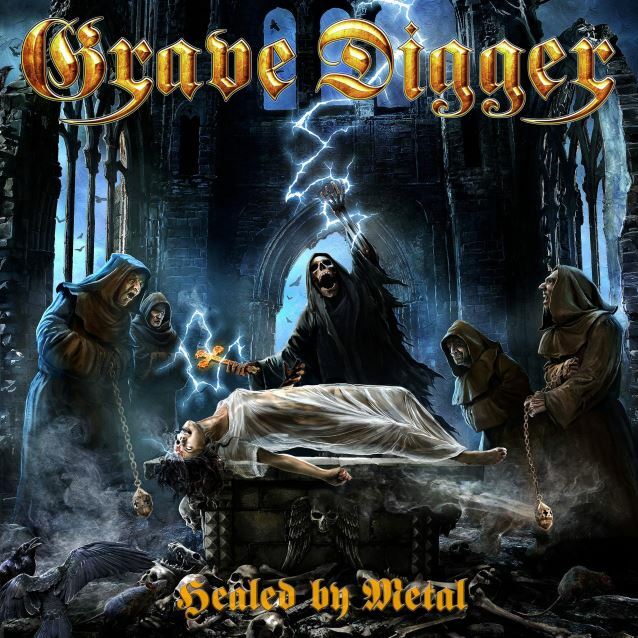 Grave Digger stay true to their no-frills traditional brand of metal on album number eighteen, letting the thunder rain on endless roads (‘Lawbreaker‘) and indulging in epic melodies (‘Call For War‘). Here are your Ten Commandments of Metal!.